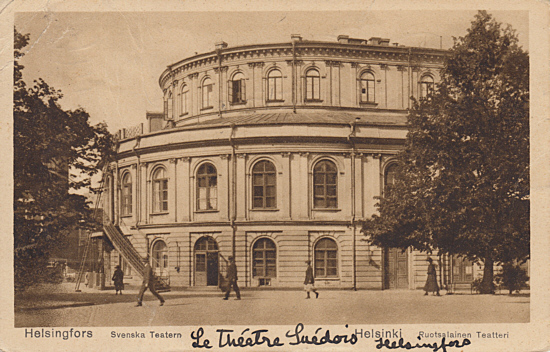 Current theatre built 1866 by Nicolas L. Benois. 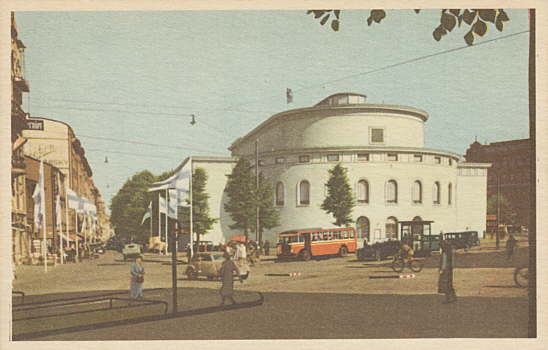 1936 rebuilding by Eero Saarinen and Jarl Eklund. 1978 extension by a winter garden restaurant by Olof Hansson. Used for theatre performances in Swedish. 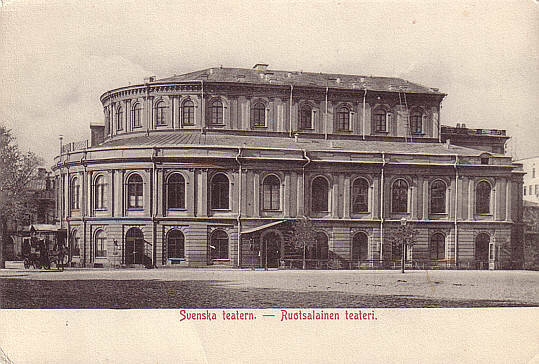 Front Text: "Svenska teatern - Ruotsalainen teateri"
Front Text: "Helsingfors - Svenska Teatern - Helsinki - Ruotsalainen Teatteri"
Handwritten Front Text: "Le Théatre Suédois Hesingfors"
Reverse Text: "Helsinki-Helsingfors, Ruotsalainen teatteri, Svenska Teatern, The Swedish Theatre"